Today, I was rummaging through my car and came across a few of my old sunglasses. I did not realize I had so many! 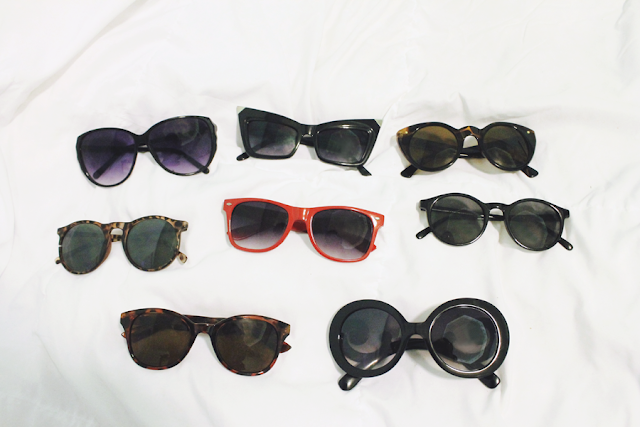 It seems that I have begun to start a little sunglasses collection. Haha. Your sunglasses are all Super Fashion!! !